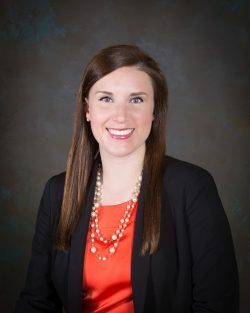 Katherine Bisnette Sumrall is an associate with Burson Entrekin Orr Mitchell & Lacey, PA Ms. Sumrall was admitted to the Mississippi Bar in 2014. She is also admitted to practice in all State and Federal Courts in Mississippi as well as the Fifth Circuit Court of Appeals. Ms. Sumrall obtained her undergraduate degree, with highest honors, in English from the University of Southern Mississippi in 2010 where she was the recipient of a Foundation Scholarship. Ms. Sumrall obtained her Juris Doctorate from Mississippi College School of Law in 2013. While at Mississippi College, Ms. Sumrall served as an associate editor of the Mississippi College Law Review, vice-chair of the Moot Court Board, and as a faculty research assistant. Ms. Sumrall was the recipient of academic Merit Scholarships, the Best Paper Award for Legal Writing I and II, the American Jurisprudence award for Trial Practice and received First Place in the Coxwell & Associates Opening Statement Competition. Ms. Sumrall was a semifinalist in the Coxwell & Associates Closing Statement Competition, a semi-finalist in the Copeland Cook Taylor & Bush Appellate Advocacy Competition, a member and regional semifinalist on the ABA Arbitration Competition Team, member of the National Appellate Advocacy Competition team, and a member of Women’s Student Bar Association. Mrs. Sumrall has served as a law clerk at Daniel Coker Horton & Bell, PA in Jackson, Mississippi, Williams & Williams, PA in Jackson, Mississippi, and the domestic violence division of the Mississippi Attorney General’s Office. She and her husband, Tripp, have one daughter, Leigh Caroline. They are members and preschool Sunday school teachers at Hebron Baptist Church.